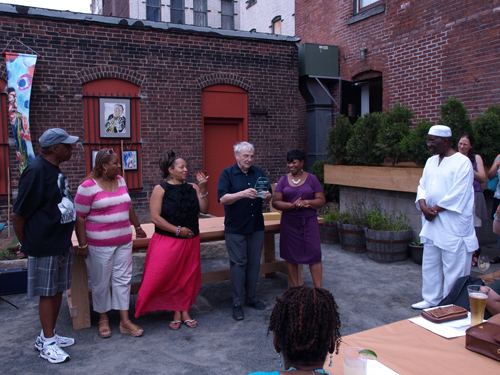 Each year Jazz Haven presents the “Unsung Heroes Award” to those in the Greater New Haven Community who have worked behind the scenes to advance the culture of jazz and the arts in New Haven. Jazz Haven has presented this award since 2012 through to the present. Here are our Unsung Heroes. 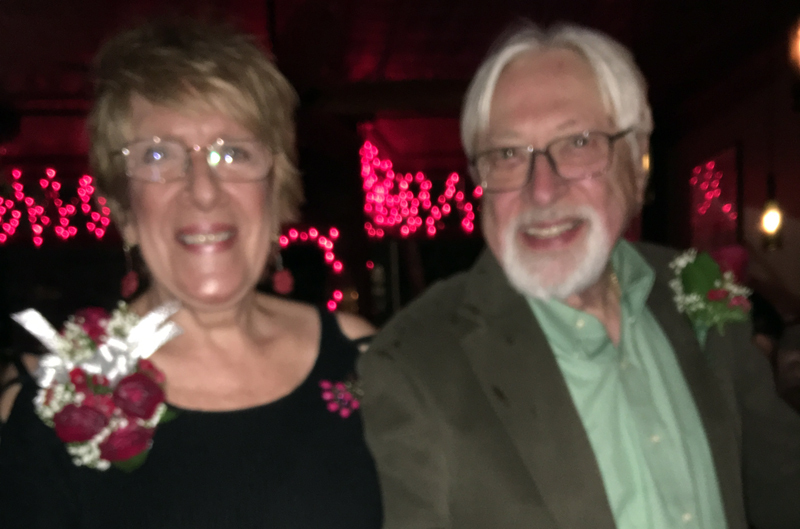 Cynthia Morrill and David Johnson have been two of the cornerstones of Jazz Haven over it’s 20+ year history in the Elm City. Both have been at the ground level of the organization since it’s early years and served on the Board of Directors for many more. 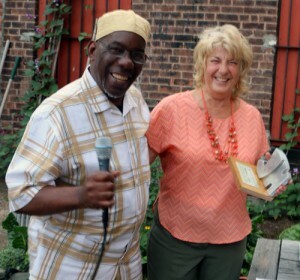 While Cindy served as the organization’s Secretary, Dave acted as chair of Programming Committee, bringing outstanding performers to the New Haven community. Jazz Haven Board of Directors founding member Herb Wilson summed it up when he noted the many of achievements by both working individually and often as a team. 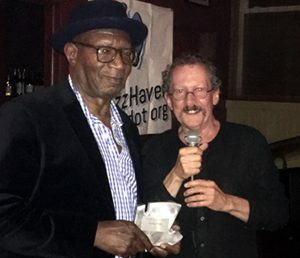 Jazz Haven is proud to honor these two giants whose tireless efforts behind the scenes have been instrumental in promoting the culture of jazz in New Haven over the past two decades. The presentation of the awards to Cindy and Dave were made by Herb Wilson at Cave A Vin Winebar on October 23, 2018. There to help celebrate and pay homage were the luminary vocalist Giacomo Gates and jazz singer/pianist Natalie Hamilton, shown here singing the jazz standard Bye Bye Blackbird. Stanley’s music history includes: playing bugle in a drum and bugle corps at the age of 8, taking drum and trumpet lessons, playing percussion in his junior high school orchestra, a stint with congas and percussion instruments and currently he plays second tenors (double seconds) in a steel band, Panacea through the Neighborhood music school. In 1978, he became the Program Director for Late Night Jazz at the Yale Broadcasting Company (WYBC-FM). While at this radio station, he produced three broadcast programs, Afro Blue, Reggae Iration and Late Night Creative Music. In 1987, Stanley was the founder of Pro-Jazz New Haven, a not for profit organization whose mission was to promote and educate about jazz. On a couple of occasions he has lectured to young people at the Edgewood Magnet School in New Haven about the merits of America’s only original art form. 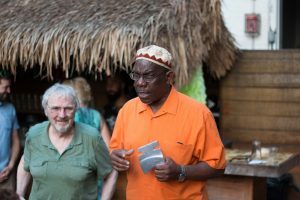 Throughout his life he has maintained his love and respect for this music called jazz and he is currently the co-producer and announcer for Jazz Haven, the weekly (Wednesdays 2-3 p.m.) jazz radio show on WNHH, 103.5 FM. Doug Morrill has been involved in the arts in New Haven in a leadership capacity for more than three decades, on the Artspace Board from 1984 – 2001 and as president from 1992 – 1996. In 1996, Doug founded Jazz Haven and served as it’s president until 2010. In 2003, Doug founded the Center for American Music and has served as it’s president since 2006. 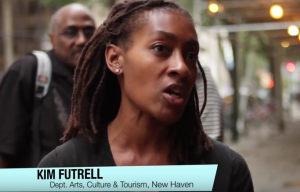 After New Haven made the unfortunate decision to discontinue the New Haven Jazz Festival in 2007, Doug lead the effort to save the festival bringing under Jazz Haven’s stewardship and restoring it to it’s rightful place on the NHV Green. He coordinated the festival in 2008 – 2010. Barbara Lamb served as the Director of Cultural Affairs for the City of New Haven for 14 years, responsible for producing the New Haven Jazz Festival from 2001 until 2006.After the City’s unfortunate decision to combine the jazz fest with its other summer concert series, Barbara supported Jazz Haven’s efforts to assume responsibility for reviving and restoring the festival to its rightful place on the NH Green. Working with Doug Morrill and, later, Craig O’Connell, Martha Meng and others, Barbara helped to secure sponsorship dollars and city support for marketing, public safety and permitting in order to minimize costs and maximize volunteer efforts. Perhaps one of the most resourceful employees of the City of New Haven, Kim Futrell has worked tirelessly behind the scenes for many years promoting the work of the New Haven Cultural Affairs Commission. She has been Jazz Haven’s most vital link with city government, the go-to person, known for her passion for jazz. Kim is the person who gets things done with little or no fanfare but with spirited dedication and commitment. Much of the extended family of the great jazz composer and pianist Thelonious Monk resides here in the greater New Haven area. 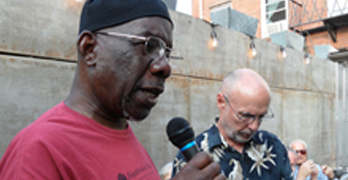 They are not without their own musical and educational contributions to the local arts and jazz scene that have been part of the narrative of New Haven’s culture of jazz. 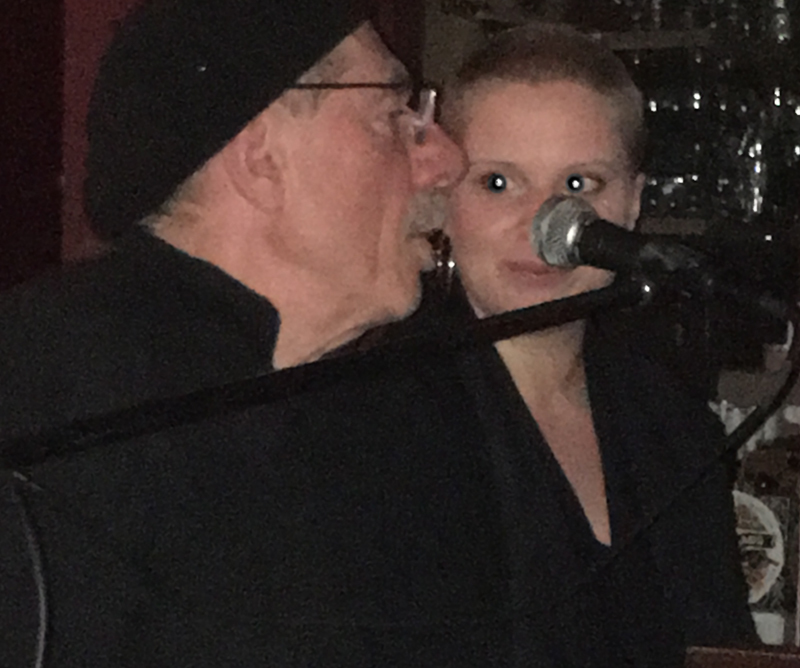 Pretty much everyone from the local Monk family is an artist, writer, teacher or musician of jazz, gospel, soul and R&B.